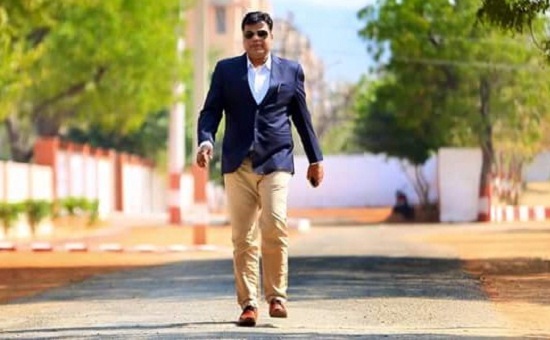 Jaipur : The fearless and firebrand IPS officer Pankaj Choudhary, has taken on the radar to an IAS and Regional Investigation Commissioner, Ravi Shankar Shrivastav, after tightening the scope of investigation in the second marriage case. Choudhary, who is presently posted as Superintendent of State Crime Record Bureau in Jaipur, has written to state chief secretary Ashok Jain. Choudhary questioning the propriety of getting a corruption-tainted IAS officer, Ravi Shankar Srivastava, who is presently serving as commissioner, departmental inquiries, to probe the matter of Choudhary's alleged second marriage. The allegation is that he has entered into a second marriage without obtaining a divorce. IPS Pankaj Choudhary told that, "Divorce proceedings are on at the Allahabad High Court. The woman named, Sudha Gupta, has married a second time, in a Varanasi court in 2012. I have produced documents to prove that. My marriage did not last even a few days. The high court, in an interim order in September, agreed that reconciliation was not possible; breakdown of marriage was irretrievable." "Besides, this is a purely civil, personal matter. I have not married again. If the government must indeed initiate an inquiry to check if I am a worthy officer, at least it must appoint someone who is himself above question. Srivastava has a string of corruption cases to his name." said Pankaj Choudhary. While on the other hand IAS officer, Ravi Shankar Srivastav said that, "I submitted the report in May. The inquiry is over, and he should have raised these matters earlier. He had produced a child with another woman while he had not yet obtained a divorce from his wife. That is unbecoming of an officer." Notably, the government had given a charge sheet to Chaudhary in connection with the second marriage and in this case, a few months ago the Department of Personnel had started a departmental investigation. The investigation was handed over to departmental inquiry commissioner Ravi Shankar Shrivastav. It is a discussion that Srivastava handed over the investigation report to the government. Meanwhile, on 14th August, Chaudhary wrote to the chief secretary Ashok Jain, in which he wrote that, cases of corruption in the ACB are against Ravishankar Shrivastava and they have been suspended for a long time. Choudhary wrote that, examining such a person is not only to disregard the cruelty of natural justice but it is a clear violation of law and law. Choudhary also demanded that, in my case a departmental inquiry should be routed away from an impartial officer.